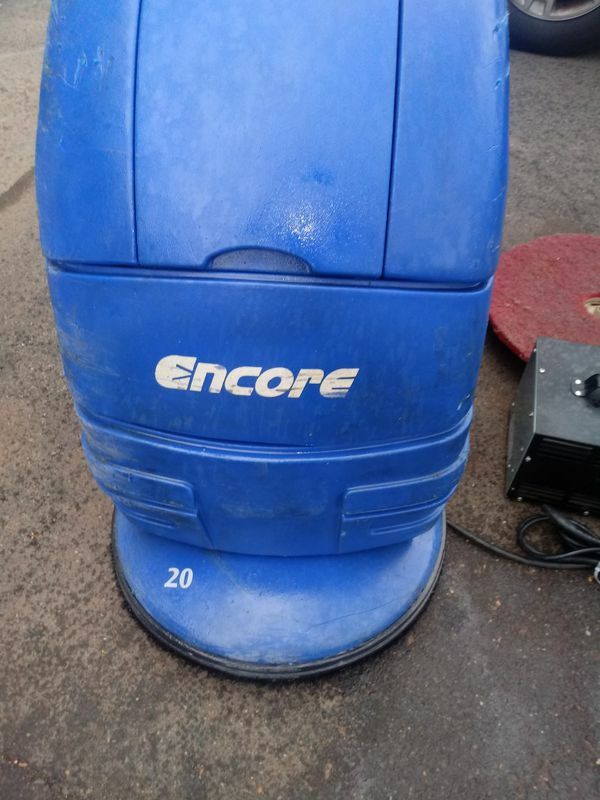 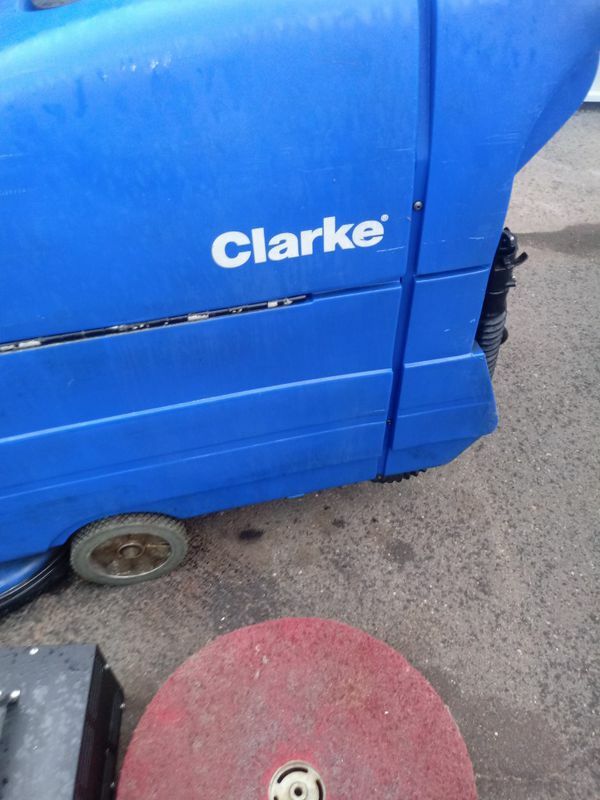 This is used Clarke Encore S20 is a variable speed walk behind Auto Floor Scrubber, 20 inch scrub path, is in Excellent work and Shape Condition. 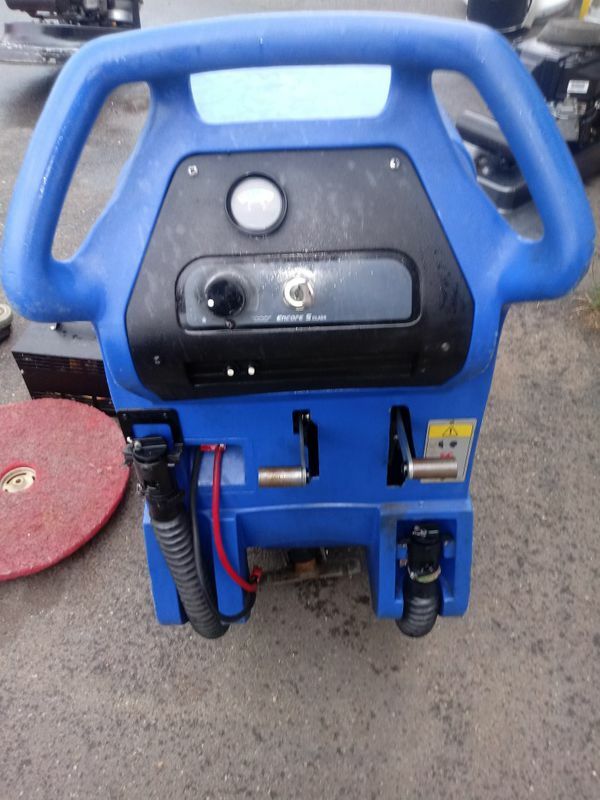 This machine in brush driven, which means the rotation of the brushes or paddriver assist in pulling the machine forward. 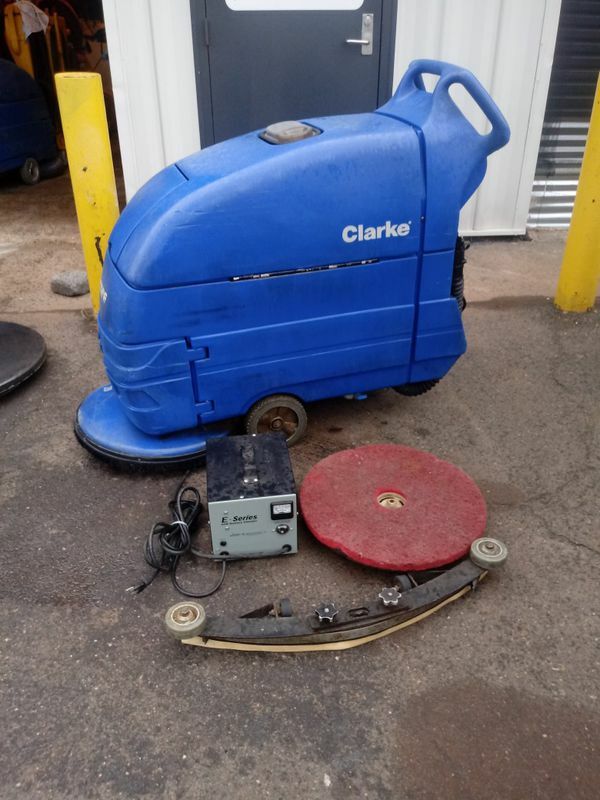 This machine comes with a 20 inchs Pad Driver, 27” Parabolic Breakaway squeegee, and 24 V battery charger. 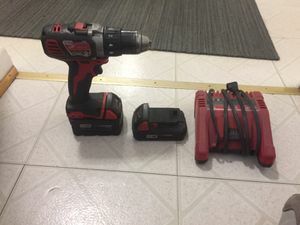 Operation with 24 V DC ( 2 X 12 V) Batteries (Not included). 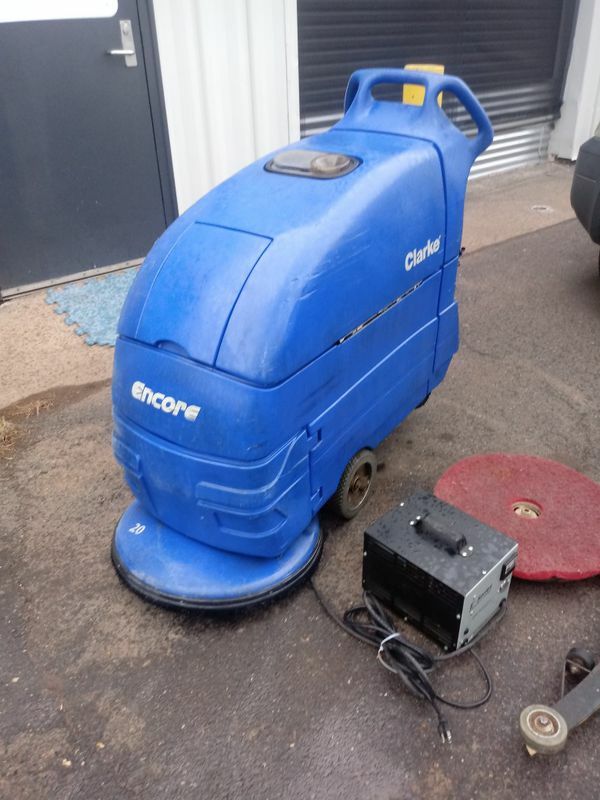 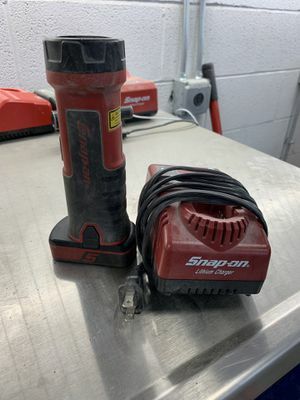 20 in Cleaning Path, Charger Volts 115v-60hz or 230v-50hz Input and 24v 25amp Output, 0.75 HP , 200 rpm Brush motor, 3 stage Vacuum Motor, 100 LBs Brush pressure, 14 gallonsSolution tank, 14 gallons Recovery tank. 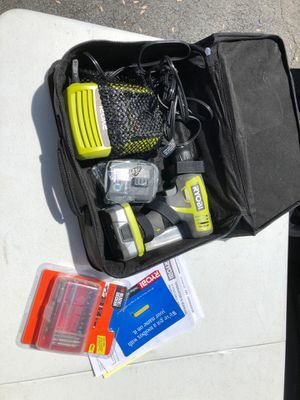 Dimensions (LxWxH) (52-1/2" x 22-1/4" x 43-1/2"). 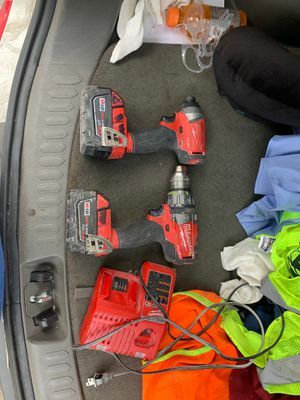 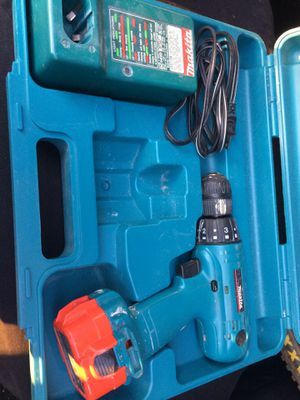 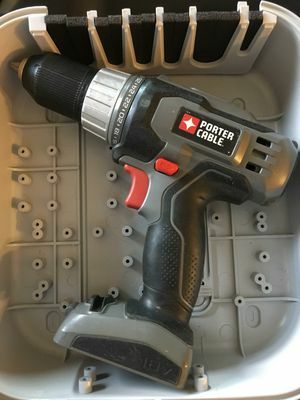 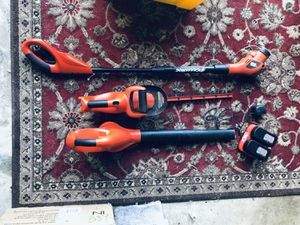 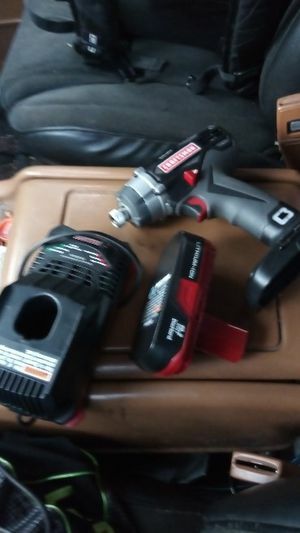 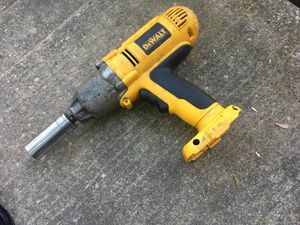 Makita drill - free, needs battery.